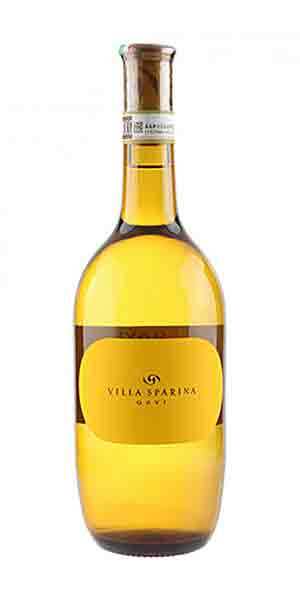 The Villa Sparina vineyards and winery were founded by the Moccagatta family in the 1970’s in Monterotondo, Piedmont, the heart of the Gavi DOCG. Villa Sparina comprises 100 hectares of land, 70 of which are cultivated with local grapes for the production of Gavi and Barbera wines. The estate produces a few wines from the Cortese grape; a Gavi di Gavi and a cru bottling from Monterotondo. The terroir exalts the acid component, savory and mineral features of the grape and contributes to the ageability of these wines. Pronounced white pepper and dried pineapple on the nose. Full body with layers of flavour. The texture is lightly oily though the wine remains lively and fresh marked by citrus, ripe stone fruit and a resinous quality. The finish is long and pleasant. This Gavi offers a lot more complexity than what is typical of this appellation and is a must try for those who like complex white wines with no oak influence.